Information on this website is 24 hours old. Payment information is updated daily, after 11:00 pm. Motor vehicle taxes and tags/registration are to be paid at your local tag office or you can avoid long lines and pay online. After completing a successful inspection, login to the DMV portal via https://edmv.ncdot.gov/MyDMV/MyDMVAccount/Login and have your NCDL number, last four of your social security number, and birth date to complete registration. You can no longer pay at your local tax collections office. You can, however, dispute situs and valuation at your local assessor's office- 704 920 2166 choose option 2 at the prompt. These bills can be searched by name exactly as it appears on the bill or by account number. Paid bills as well as bills that are due or delinquent are available. You can print the bill details for your records. Credit or Debit Card payment can be made by selecting Tax Bill Payment. You will need your 10 digit bill number for the online payment system. There is a 3% fee assessed by the processing company on this type of bill. Electronic Check payments are also an option, for a fee. In order to obtain accurate historical data on Real Estate, which could include delinquent taxes from previous owners, that is a lien on the current owners’ property; it is best to initiate your search using the Township/Map/Parcel number as opposed to the PIN number, owner's name, or account number. Historical data as well as current year tax data is available. Details of bills both paid and due/delinquent can be viewed and printed from this system. The complete Tax Rate list is available. 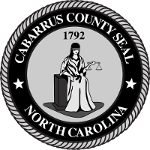 Payments to Cabarrus County should be made payable to Cabarrus County Tax Collections and mailed to PO Box 707 Concord, NC 28026-0707. Overnight payments should be directed to our physical address which is 65 Church St SE, Concord, NC 28025. Include the account number or parcel number with payment. If you need further assistance, fax your request to 704-920-2815, email taxinfo@cabarruscounty.us or call 704-920-2119 option 3.